Sometimes you may fail to apply the transitions to timeline or the “apply” button is greyed out. As the transitions just can be applied to the video located at the first video track, so when you try to drag the transition to the video in PIP track then there will be a sign as below popping up. It is not suggested to open project made with the old version to new version9, as they share the different software architecture and built-in effects. So you are suggested to finish the project in older version and export it first. Then create new project with version9. Can I open projects made with Mac on the Windows version? If your project is made on Filmora9, then you can archive the project and open it in the Windows version. 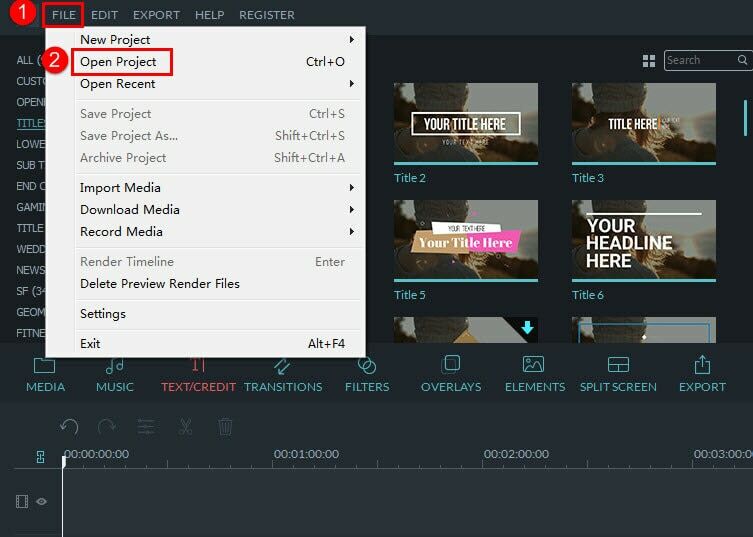 However, if your project is made with an older version than Filmora9, you cannot, as the project files and software are not interchangeable between the two operating systems due to the software architecture. How can I adjust the aspect ratio during editing with the Filmora9? Yes, you can adjust the aspect ratio if you are using Filmora9. You just need to select "project settings" under "file" to adjust it. 1. Click Import to load the video and audio files to the Media Library. Also drag and drop the video file onto the video track. 2. Select the video in the timeline, right-click and choose Audio Detach. 3. Then the audio part and the video part will be separated. Select the separated audio file and delete it. 4. Drag the new audio file from the Media Library to the audio track of the timeline. Meanwhile adjust the audio and move it to the place where you want it to be. What can I do if Filmora9 doesn’t respond when I try to record my PC screen? 1. 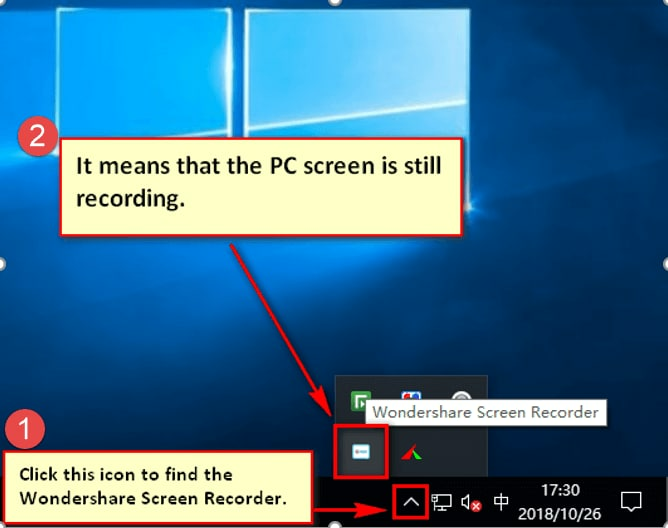 Please go to the task bar, click the upward icon and check if you can see “Wondershare Screen Recorder”. If you see it, this means you didn’t end your last recording. 3. After that, your last PC recording will end and the recording file will show up in the media library. Then you can click to record your PC screen and check if it works. 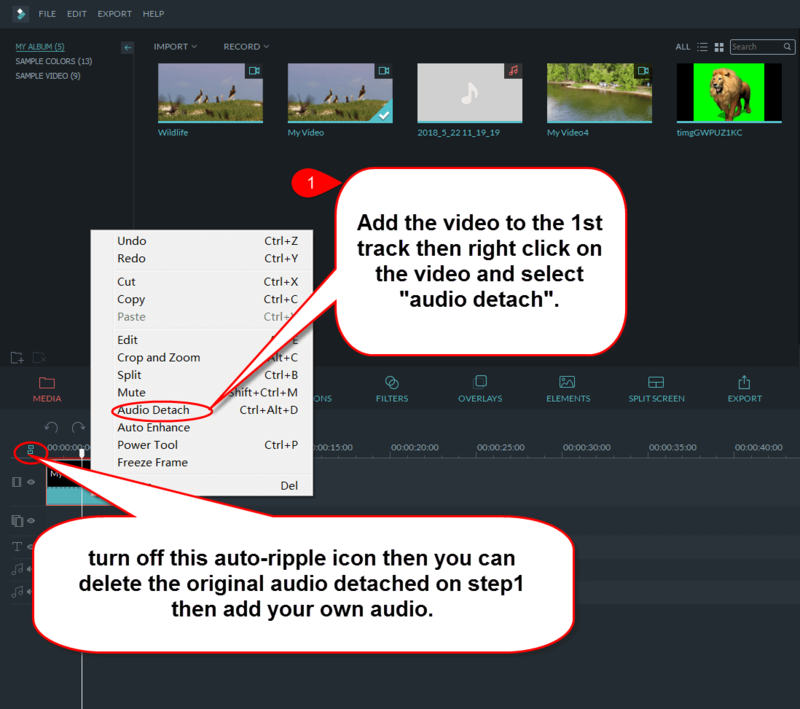 Restart your computer completely to quit the whole Filmora9 program, and then your last recording will stop accordingly. Tips：The hotkey F9 is often conflicted with other programs, and sometimes the recording won’t stop when you press F9. So when you try to record your next PC screen, it’s advised to go to your recording settings, and change the stop hotkey from F9 to another button such as F5, F2, etc. which formats does Filmora support to import? Here is the link https://filmora.wondershare.com/tech-spec which will show you which formats we support to import when run this Filmora with Full feature mode. 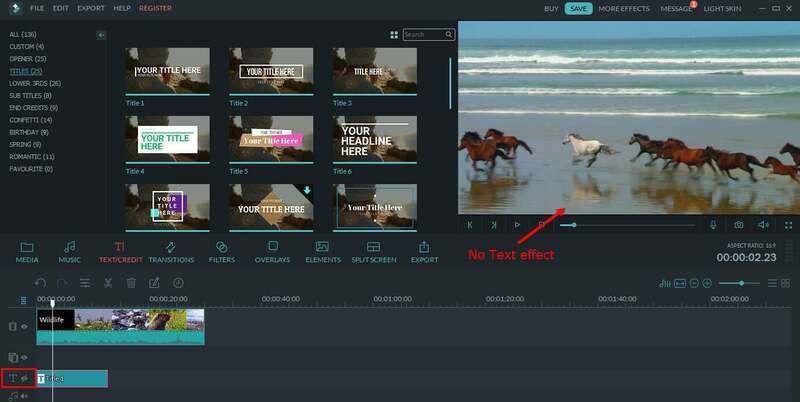 Currently, Filmora just supports H.264 encoded MP4, MOV& MTS videos shot by Action Cams, Phones, and Home AVCHD Camcorders when you use Instant cutterto edit your video. When you fail to import the videos, you can try to download some free tool to convert it to an MP4 video and load it to our program again. Here is the link http://www.techradar.com/news/the-best-free-video-converter show you the most popular free video converter tools. After above try, if there is still the same issue, please send the media file to us for analysis. You can attach it directly if the file is less than 20M. For file larger than it, please upload it to Google drive and send us the download link by submitting the email in our support center http://support.wondershare.com. Why there is such error “WMVCore.dll is missing…” when launch Filmora? For the Windows 10 N and KN Editions, there is no Windows media player on the system, please go to below link to check more details on the back ground http://winsupersite.com/windows-10/what-are-windows-10-n-and-kn-editions. So if you are running with such windows version, you may see this error when try to launch Filmora, see below. To avoid such error, you need to install and active the windows media player on your computer first then install this software. Here is video https://www.youtube.com/watch?v=IjDbJGrFETg which you can refer to install and activate the windows media player. To get the snapshot with high quality, it is suggested to take the snapshot during preview in media library. Here are the steps to figure it out. Step 1 Import the original files to media library. Step 2 Right click on video in media library then hit “play back” to preview the window, as below. 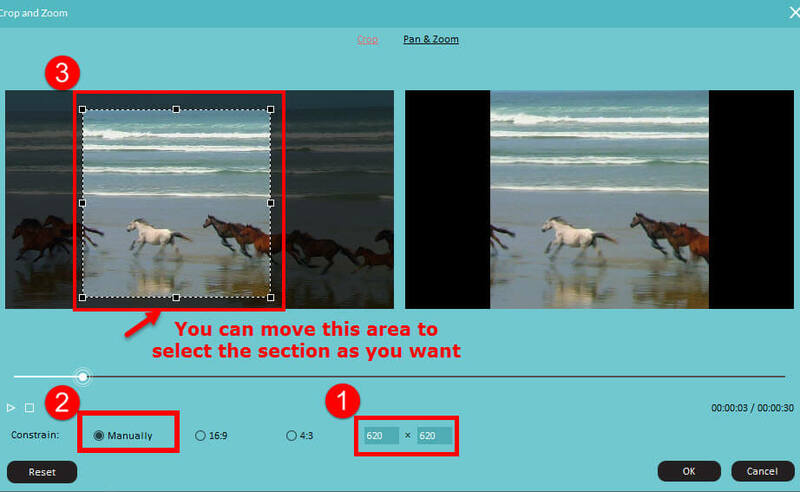 After that the snapshot will be shown automatically in media library. You also can right click on the snapshot then hit “find target” to find the path where it is saved automatically on your pc, see below. Why my video quality is so poor once applied to timeline? This issue is caused by the compression of the preview window. 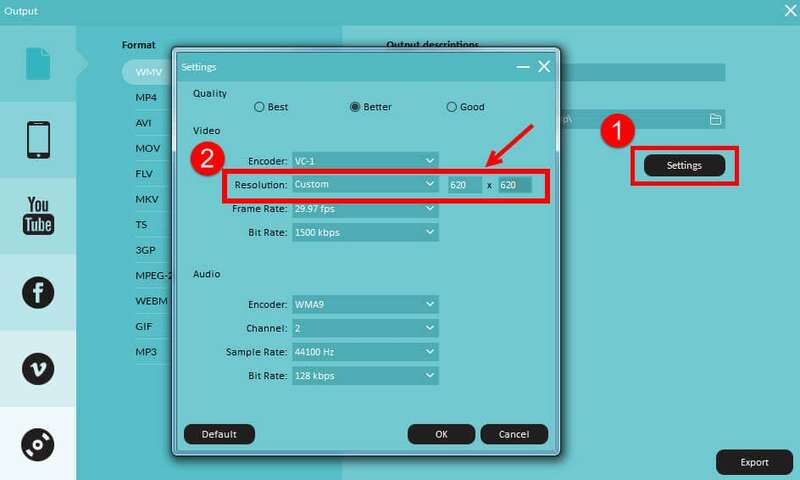 Normally, after you load the video to the program, it will be compressed to a lower resolution as 360P to set the preview window, so there will be quality loss while viewing in the preview window. But generally the output quality will not be affected. Why the video is lagged during editing on timeline? It is caused by the lack of the decoding efficiency. Regardless of what editing you made, such as split a video, to show you the prompt result in preview window, our program has to render it first. But if too many or too big files are loaded and use up all system RAM, since the timeline engine is not efficient enough, so the non-synced problem occurred. But generally the output quality will not be affected. Please just try to export your file, and then you could check the output quality. And with the new version, you also can pre-render the video to make the editing smooth. Here is the guidance show you how to use this feature.